I tried out this new quilting design called "Sashiko" and love the look! All it takes to make this quilt is 4 fat quarters and as my co-worker at Quilt Cove said, who doesn't have 4 fat quarters?! The finished size of this quilt pattern is 30" X 36". I'll be donating these baby quilts to Jack's Basket, a non-profit that celebrates babies with Down Syndrome by giving a basket of goodies and info to new parents of babies with Down Syndrome. 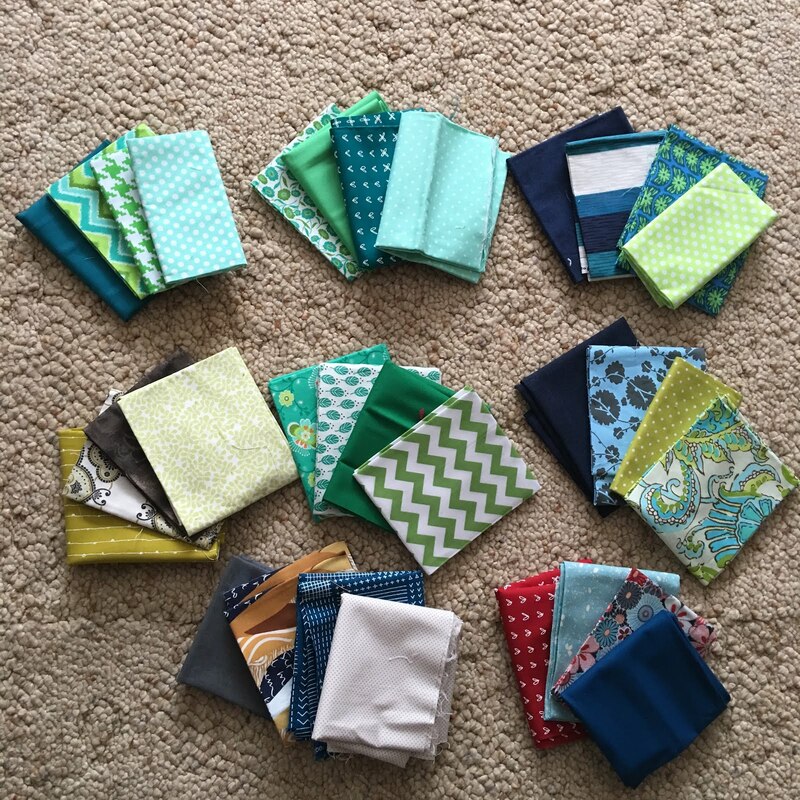 My sister and my small group will be making some baby quilts, too. We are making them in honor of her daughter, my niece, Gretchen, who is a successful, intelligent, cheerful young adult with Down Syndrome. What charity do you donate quilts to? Good for you, Nancy. I am sure you will do it too. Not this year for me but I am going to do a few, which is more than last year. Good luck! Working on quilts for California Fire victims. Wow, a quilt a week is way too much pressure for me. Good luck with your endeavor! No one said a quilt has to be fancy or complicated in order to be colorful and warm. Good luck with your goal. Cheering you on for 52! I thought when I donated 32 last year that it was a bunch but 52, wowee! I have done Ronald McDonald House, local Neonatal, Bundles of Love. Last year it was the local crisis nursery center. It will help a ton if your DD has them all cut out for you for sure! I'll join Vicki down here from this corner and cheer you on too! That quilt is really fun. Do you have that book at the shop? I may have to snag it. 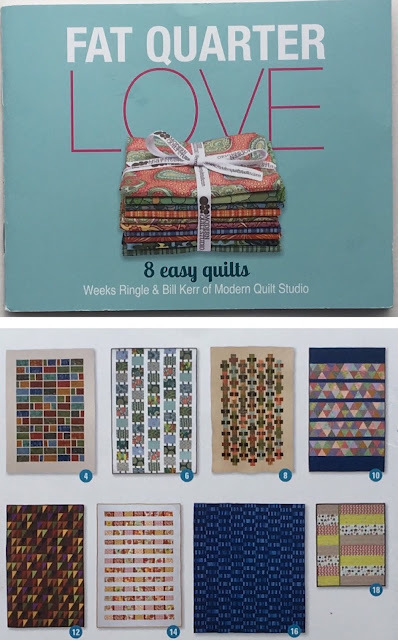 I have a FQ bundle that would work for it. What a great way to start your year, Nancy, and I love the curated bundles your daughter has made! How fun! These will be fun quilts to make. I love this pattern. Thanks for including me and saying such nice things about my daughter! Wow, Nancy! What a generous and loving thing to do! I love the idea of these little baby quilts for Downs kids. At 30x36 they should stitch up in a hurry, too, and only need less than a single yard as backing. Fun fun fun! 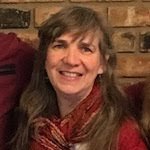 I just joined the Sunshine online guild, and they sew for Quilts Beyond Borders and Wrap a Smile. Maybe I'll add Jack's Basket to my list, too. Are they local to you, or will you mail your donations? Wow! That's some goal. I belong to a group of seven quilters who make quilts for our local senior center. Together we made 31 quilts for them last year. We meet once a week, sew, laugh, and have fun by doing something we love. Nancy, I love the quilt! And your goal for Jack's Basket is wonderfully inspiring. I am beyond wow at the thought of making 52 charity quilts for 2018. For the past few years, I've donated 12 baby quilts a year to our Blanket Ministry at church which is one quilt per month. I did toy with the idea of making 52 baby quilts, one a week, for either donation, gifts, etc. but that was only a thought. 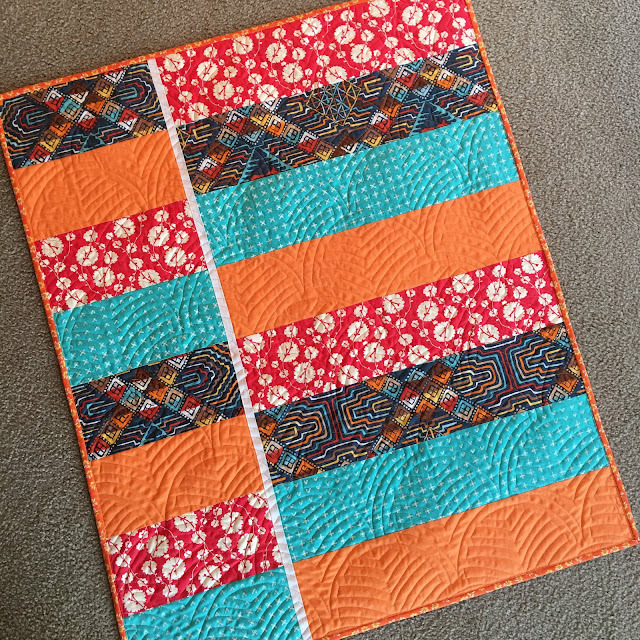 I love this pattern and the quilting is beautiful, as usual. 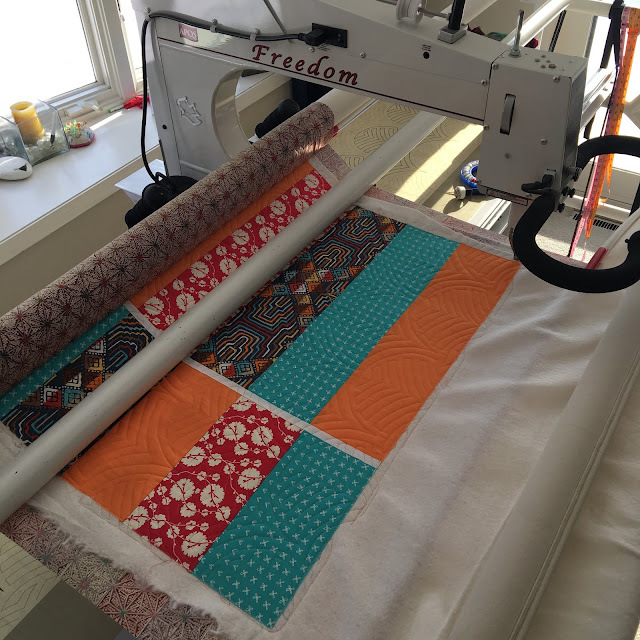 What an amazing goal but doable to a longarmer - a domestic machine quilter not so much. I will be making about 25 pillowcases (for CA fire affected), 10 double sided flannel baby blankets (stash) and 15 fleece blankets this month. Most of these will go to charity. I give to the local foster care coalition, Project Linus, the women's abuse shelter and I try to keep something on hand for online appeals. Good luck with your 52 charity quilts in 2018. It can be done but don't burn yourself out if you cannot meet the goal. Whatever you do get made will be a blessing to the charity group. Wow, 52 quilts is a big undertaking! I saw Laura's goal; neat of you to match it. This is a particularly neat pattern. Good luck! Simple, yet effective. LOVE it!! That will be an amazing effort. Great start and good luck! It's beautiful! I admire your efforts. I wish I had more time to play with quilting. That is amazing, I'm totally cheering you on! That's 1 a week, isn't it? Wow! Your first one is beautiful, and I just love that quilting pattern! What an awesome goal. Because I don't do my own quilting, I am joining in sending blocks to Covered In Love, a charity quilt donation site in Texas. Quilts are given to grieving families at a hospital. Thanks so much for linking up with TGIFF. 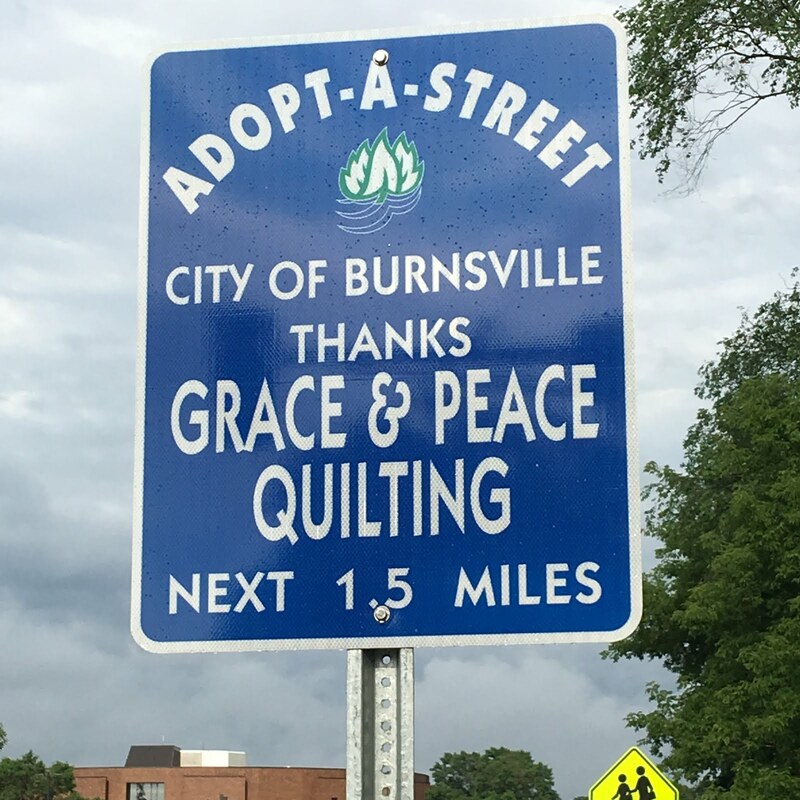 Your 52 charity quilt goal is amazing, and you are off to a great start. 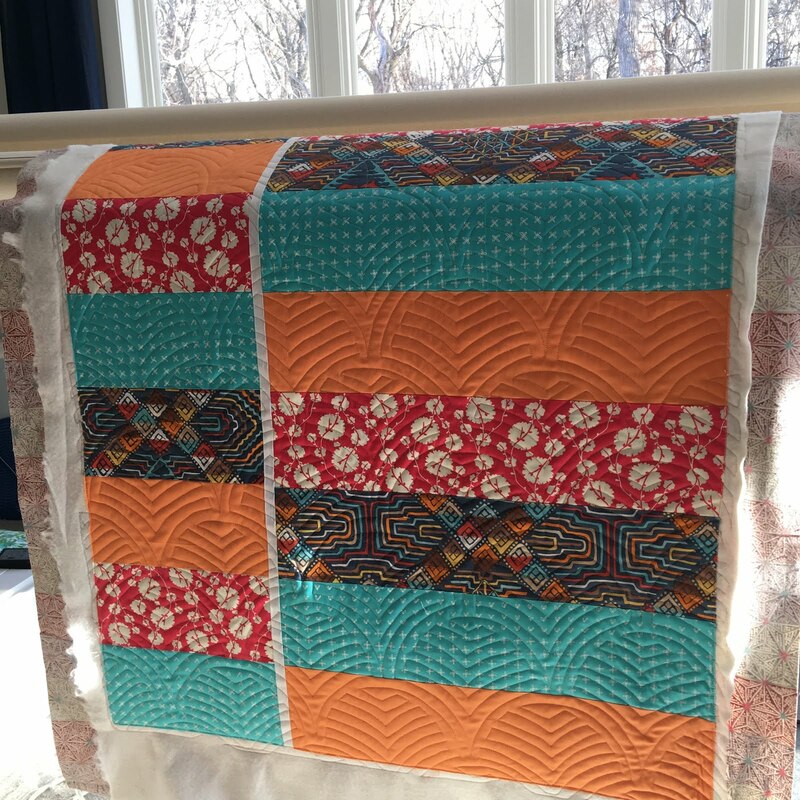 I really love your "sashiko" quilt design--I do hunger for a longarm, especially when I see possibilities like yours. 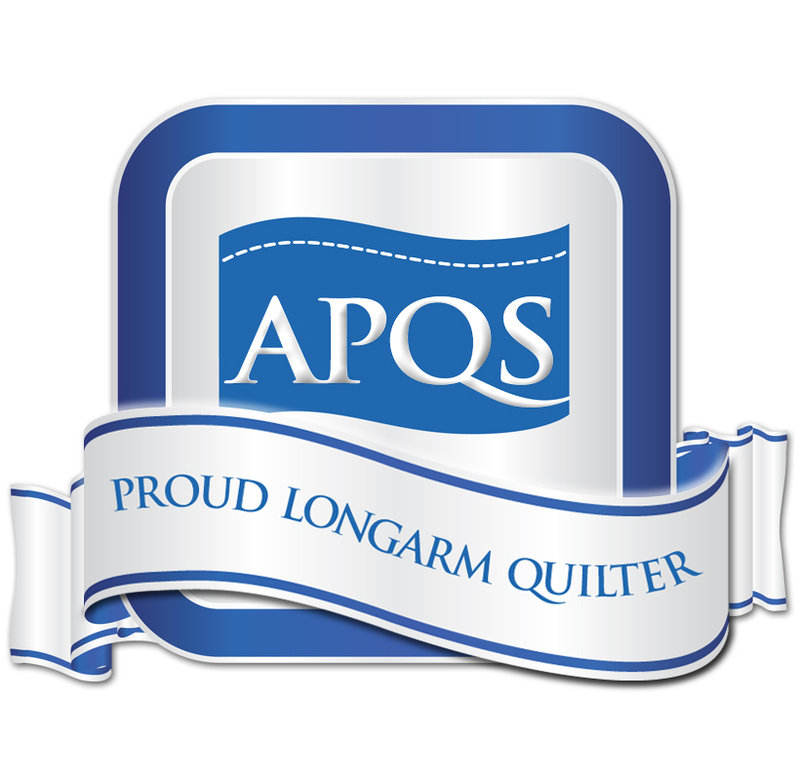 I donate quilts thru the 2 guilds I am a member of. I must confess that they are often quite elaborate, mostly because I have trouble doing anything simply. You are off to a great start! 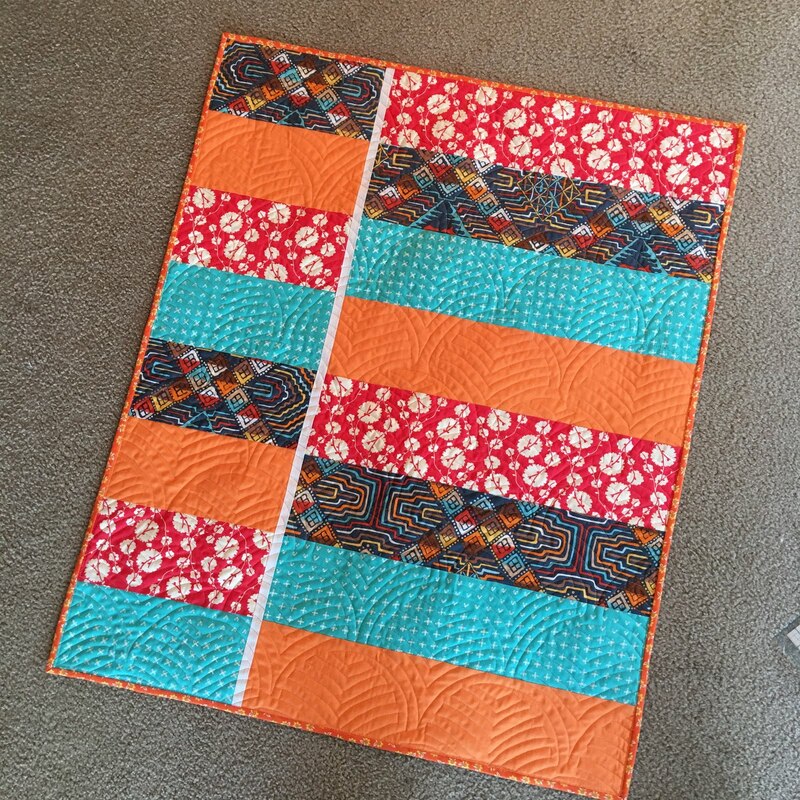 52 charity quilts is a awesome feat! 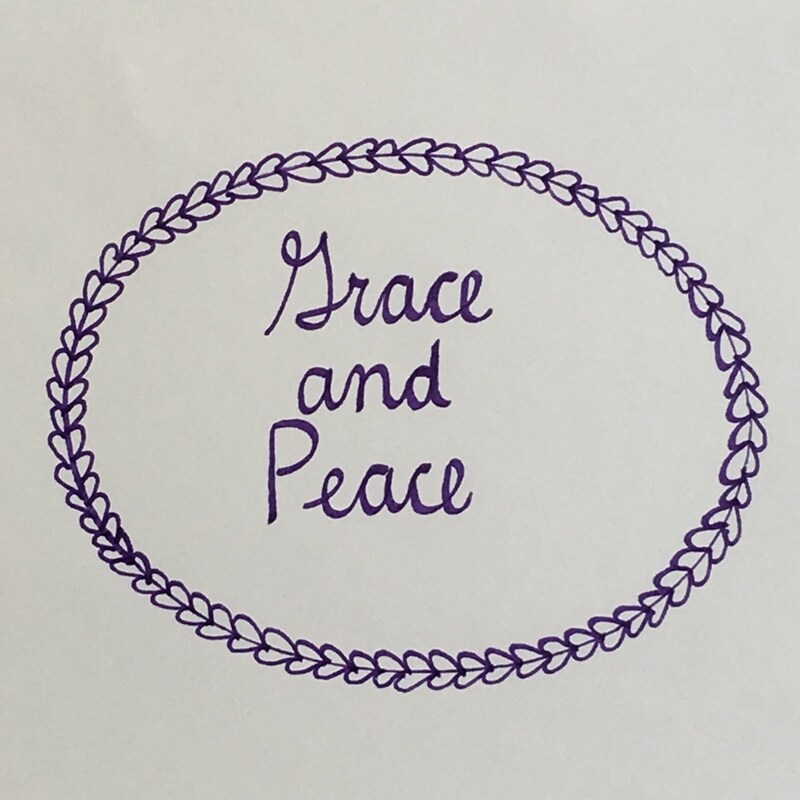 I've been a bit behind in my blog reading and just catching up today! I'm so happy to ready you've upped your goal!! And by the looks of it, you're already way ahead of schedule too! Bravo!! Life has me a bit behind on mine, but I'll catch up! I'm planning a linky at the end of the month, whether my own are done or not! 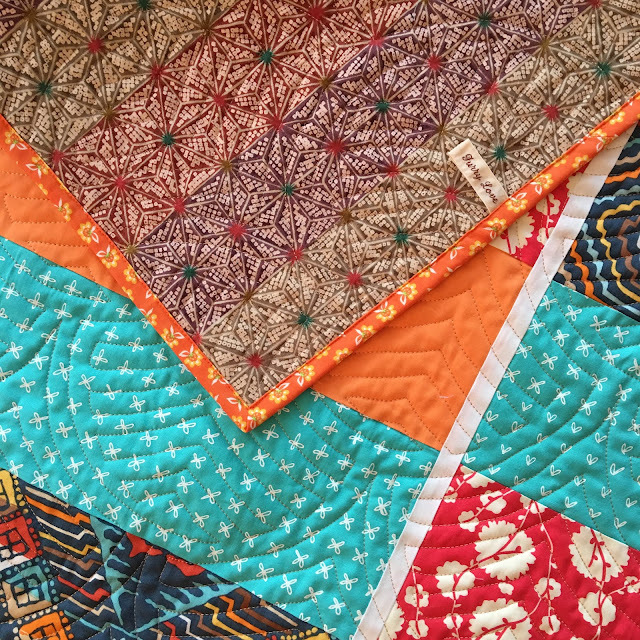 These quilts finish at 30" X 36" and just take 4 fat quarters! Thanks for stopping by, Helen! You're a "no-reply comment" so I can not send you a direct email. I can only hope you check back and read this. Here I am :) .... I will be following you from now on. Thank you so very much. I know little about quilting but I do enjoy it. May I ask you questions from time to time? thank you so much for your response. You made my day happier. How do I send email with replay? There are others that have described what to do, also. If Bonnie's doesn't work for you, google search "how to fix no reply blogger comments"